Let's face it - it's all too easy to have something bold for breakfast, or skip it all together. When you're in a rush to get out the door in the morning, getting in a healthy breakfast is often the last thing on your mind. We all know eggs are a great way to start the day. They're high in protein, which will keep you full, as well as Vitamin D, B vitamins and iron, but can be a bother to cook. 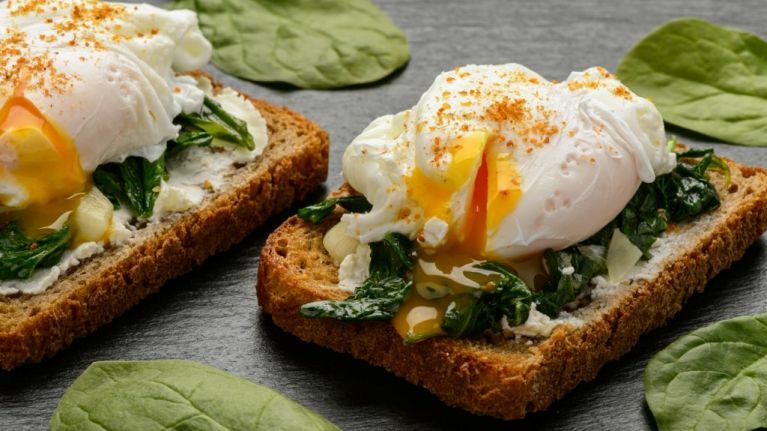 This microwaved poached egg recipe is ideal if you're on the go - you can make it at home or in the office in a matter of minutes. Fill a one-cup microwavable bowl or cup with ½ cup of water and half a teaspoon of white vinegar. Gently crack an egg into the water. Cover with a microwave-ready dish (this is key) and cook for 1 minute - this will vary depending on your microwave's wattage so your egg may need slightly longer in a 600-800w machine. Check your egg. The white should be firm, but the yolk should still jiggle to indicate it's runny. Remove with a slotted spoon as soon immediately as the egg will continue to cook if left in the water. Bonus: if you're feeling fancy, here's a recipe for a microwaveable hollandaise sauce to garnish your egg.